Players should take an average of 1.3 hours to level up. 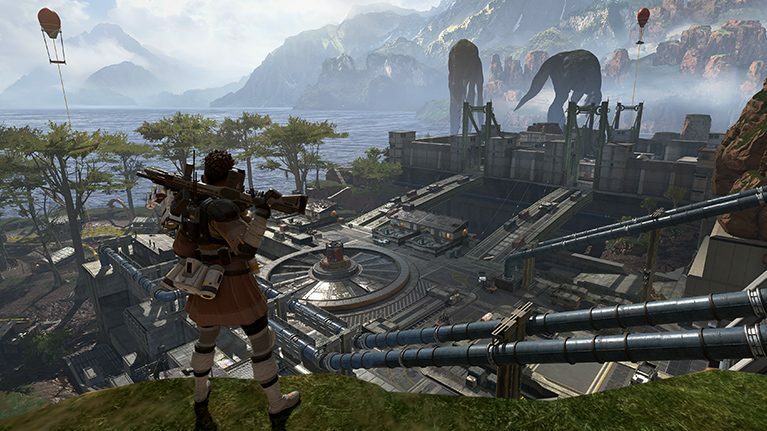 It should take about 100 hours of gameplay for Apex Legends players to level up their Battle Pass to the maximum level if they take advantage of bonuses, a Respawn developer wrote on Reddit. The developer said that “if you use the bonuses and get a few kills here and there” you would be able to reach level 100 in the season one Battle Pass by playing a little over one hour per day. He said that “for the average player leveraging Battle Pass bonuses,” leveling the Battle Pass from levels one to 100 is faster than increasing player level from one to 100 by about 25 hours. r/apexlegends – To whoever said this BP was meant for new players and not 10 hour/day no lifers. The Respawn developer mentions the bonuses of playing with friends, playing with more characters, and naturally getting more experience from the XP boosts unlocked as you level up the Apex Battle Pass. Apparently, players who can take advantage of all these boosts can get all the rewards from the Battle Pass by playing the game every day for at least one hour. The developer also said that it should take players 1.3 hours per Battle Pass level “if you do literally nothing in the match but live and never do a point of damage ever” if players have the character bonus active since it means they would get six points of XP per second. That means the minimum Battle Pass experience a player can get if they survive 20 minutes in a match with the character bonus is 7,200 XP. “That assumes you do zero damage, don’t get top three, don’t play with friends, etc,” the developer wrote. The math may vary, and the time players take to level up may also vary considering each individual’s playstyle. Aggressive Apex players are more likely to die early in a match and spend more time in the lobby, but they’re also more likely to get more XP points for eliminations and kill leads. Several players have contested the Apex developer’s math, saying it might actually take even longer considering the time spent waiting for new matches in the lobby. Some said it feels more like it would take twice that time, while others think 100 hours is already way too much time to spend on a single game. If you have an Apex Battle Pass and want to go for level 100, be ready for the grind.